Waltham, Mass.—May 8, 2013—BlueSnap today announced that it has appointed Jeff Coppolo, a 20-year veteran in payments and financial services to lead business development and form key strategic alliances to further establish BlueSnap as a payments leader in eCommerce. Jeff has extensive experience in the payments industry, with a successful track record in card portfolio acquisitions and co-branded card partnerships for major banks and merchants. Most recently he founded De Novo Financial, an advisory firm focused on business development for emerging payment technology companies, and is now folding those activities into BlueSnap. Prior to De Novo Financial, Jeff co-founded Alliance Companies, a sales and advisory services firm, which led Barclaycard U.S. into becoming a top 10 credit card issuer in the United States through the acquisition of key partner endorsements, including airlines, hotel chains and major retailers. He began his career in the payments industry in1990 with The Kessler Group in a senior sales leadership role, helping grow MBNA (now Bank of America) into the largest issuer of affinity credit cards in the U.S. and Canada. He also worked in investment management with Kidder, Peabody & Co. (now UBS) earlier in his career. 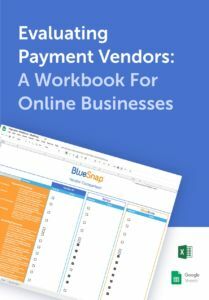 BlueSnap is a global payment service provider and an international payment gateway powering the checkout process for eCommerce merchants worldwide, and fueling growth for online businesses serving digital, physical and mobile markets. BlueSnap has reinvented the checkout experience by combining the power of four key components: Seamless integration into the storefront, global payment processing, award winning smart subscriptions, and dynamic marketing tools for up-sell at checkout. Serving over 5000 merchants, and supporting shoppers in 180 countries by localizing the experience, with 28 languages, 60 currencies, and 110 payment types, BlueSnap is powering buys for merchants around the globe, and fulfilling their promise to convert more shoppers to buyers worldwide. BlueSnap and the BlueSnap logo are trademarks of BlueSnap, Inc. All other trademarks are the property of their respective holders.